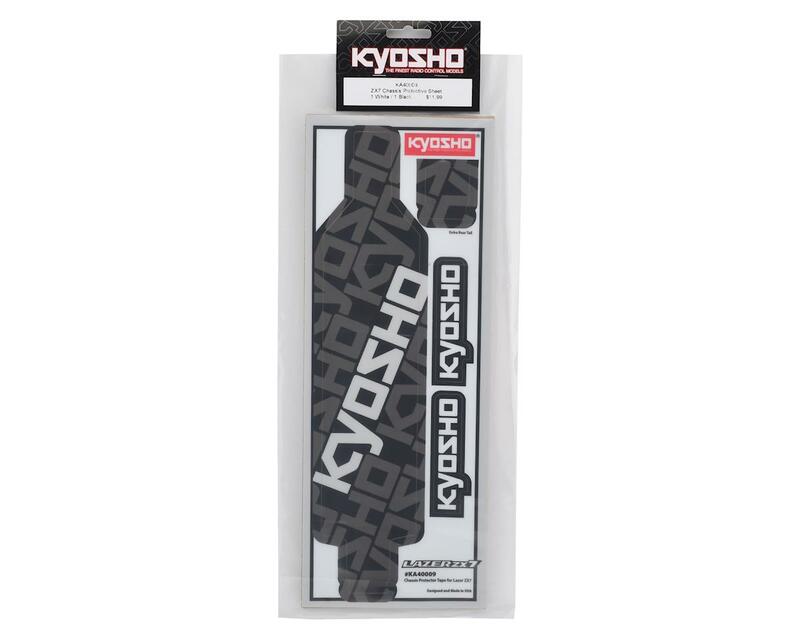 The Kyosho ZX7 Precut Protective Chassis Sheet is the best choice to keep your ZX7 chassis protected. Package includes two sheets - one red and one black. 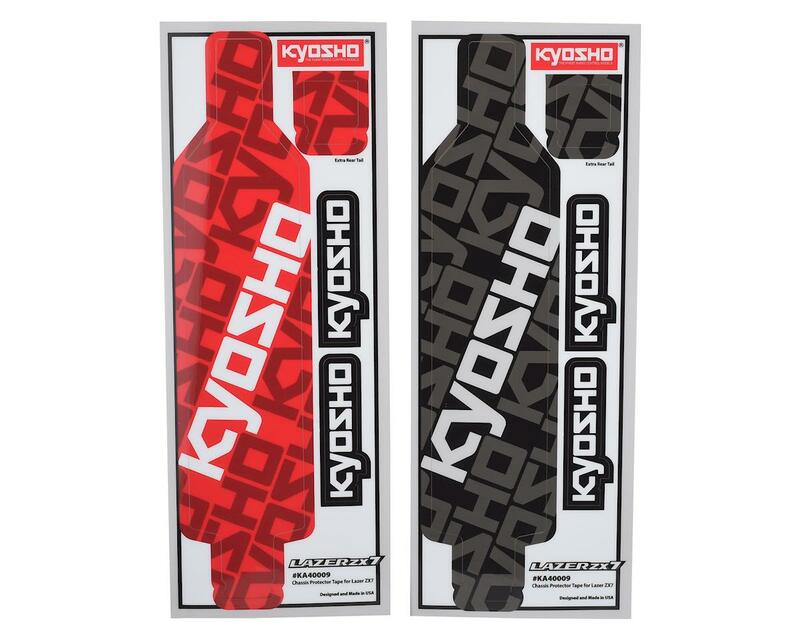 Plus, diecut Kyosho decals are also included on the sides.